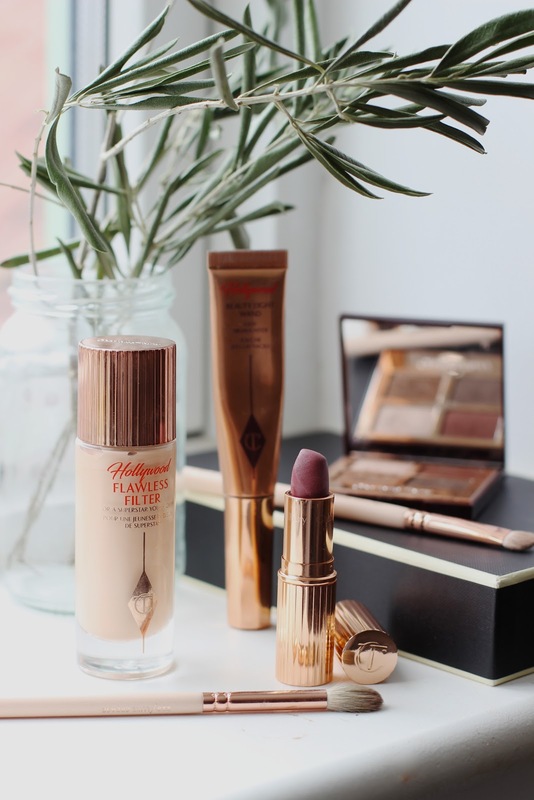 Evening Additions with Charlotte Tilbury. | By Millie. Evening Additions with Charlotte Tilbury. 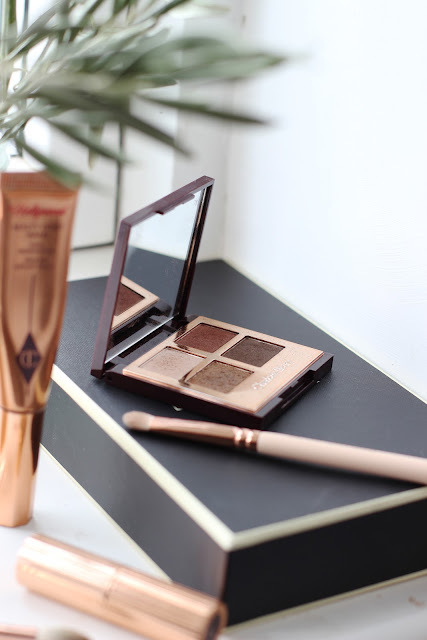 Whenever it comes to getting all glam in the evenings, Charlotte Tilbury is the brand I reach for. No, this is not sponsored, I just really really rate her products. There's something about the packaging and the formula which creates the perfect, luxurious feel to any look, and in the evenings I'm all about those vibes. 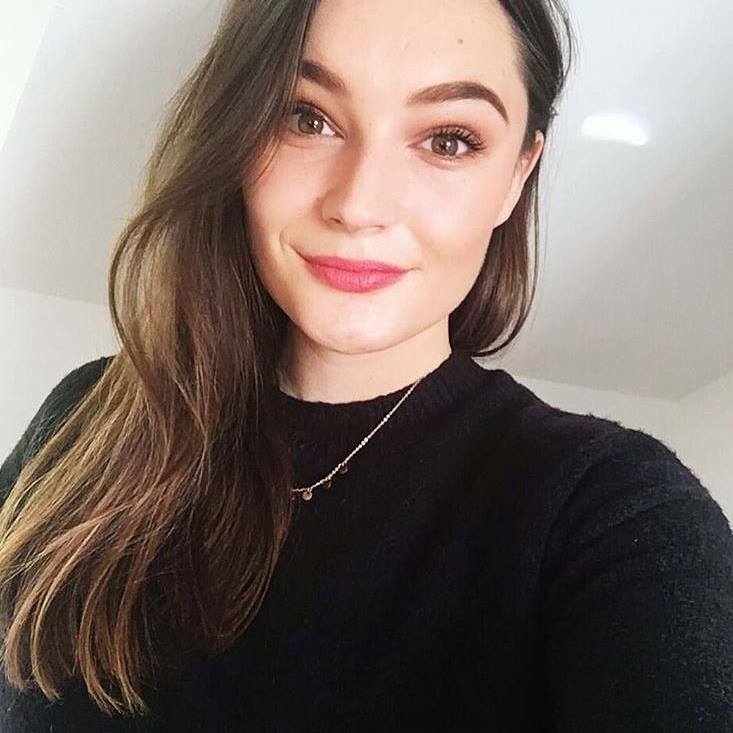 There's a couple of newbies in this post which I can't wait to share my excitement for, and an old classic which I know so many of you adore as well. 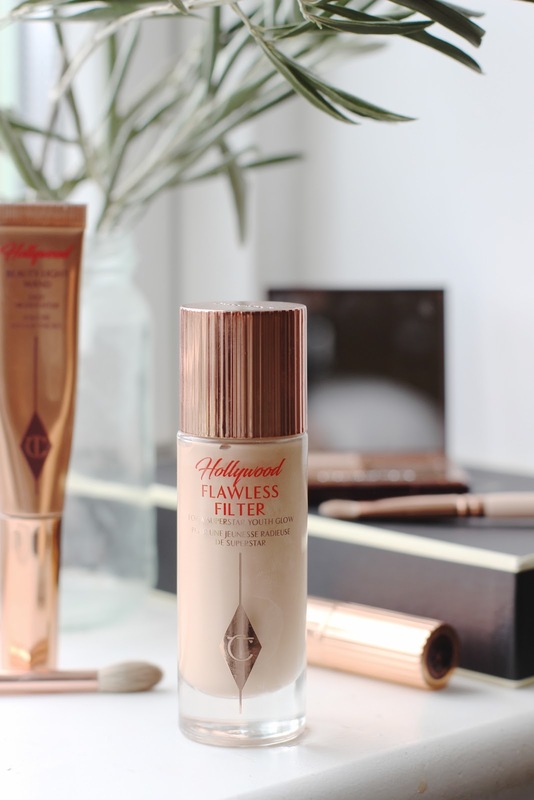 The Hollywood Flawless Filter is the most beautiful product for adding a natural glow to the skin. Now, this isn't a highlighter as such, nor is it a foundation. It falls somewhere in between. The consistency is similar to a foundation, but it doesn't offer much coverage, it literally is a natural glow in a bottle. Not sure how she does it! You can use this in so many different ways, which is why I love it - so user friendly. My go-to method of application is after I've done my foundation. I'll take the doe-foot applicator a dot the product across the centre of my skin and blend with a beauty blender. My skin has never looked so flawless and airbrushed. This technique is also great for that day-to-night transition! You can also mix this in with foundation to give an overall more dewy look, or use it as a primer. All the thumbs up for this beauty. Now, even though that does add such a lovely, natural glow to the skin. I can't help but add more when I'm heading out in the evenings. For that I pop on a bit of the CT Beauty Light Wand. If you've read my blog before, you may know my love for her Bronze and Glow contour and highlight duo. The highlight in that is simply stunning and by far one of my absolute favourites. But, I do looove a cream formula, so when CT came out with her Beauty Light Wand, I was so excited to give it a go. Spoiler; it did not disappoint! If you too are a fan of her powder formulation, this gives you the same golden glow, but in a creamy, and even more glow inducing way. The applicator makes it really easy to apply, although it can get a bit messy as it's a little twist up sponge. I know I add a lot in terms of glow to my completion, but I keep it minimal as far as colour on the cheek goes. Therefore I do like to add a bit more sparkle and interest to my eyes. The CT eye quads are your one-stop-shop to gorgeous, and in her words, mesmerising eyes. The quad I reach for the most in the evenings has to be The Dolce Vita. Complete with a gorgeous pearl base, a stunning rust, and of course the amazing shimmery bronze! Every time I open this palette up, I can't wait to get stuck in. I don't wear loads of eyeshadow during the day, so when it comes to topping up, I simply go in with the bronze all over the lid. This is the best way to get that shimmery, smokey look, with minimal effort. I find the fingers the best way to apply this shade as you can really pack it on! I'll then mix the rust shade, and the deep brown together and blend them through my crease and lower lash line. By mixing the two, you get a really lovely hint of the red-y shade, without it being too over-the-top! Then of course I pop a bit of the highlight shade in the inner corner. The formulation of these shadows couldn't be lovelier. They have a great amount of pigment, yet still remain very easy to blend. This is part of her Matte Revolution line, but it's still very comfortable to wear, despite being a matte shade. It lasts really well and I can always reply on it when I'm heading out. I also still can't get over the packaging of her lipsticks. I own about 5 or 6 now, and every time I pick up another one it's just as special. A £2 Moisturiser That Is Actually Pretty Decent. A Foundation Secret To Tackle Dry Skin. Five Products To Enhance Your Beauty Routine.